TREETRUNKWISE means centering inward to radiate outward. It means growing in all directions– just like a tree expands around a center of heartwood while rooting into the earth and reaching into the sky. It's the wisdom of connecting with nature, receiving its teachings, and opening up to its healing potential. It may start with a simple tree pose, but it becomes a way of seeing the world, of living life, and learning to inhabit our truest self. I believe that as human beings we have an innate ability to intuit what is most needed to bring about a state of wholeness and balance within ourselves. I see myself as a guide who seeks to empower that process within you. I am honored to create and hold a sacred space in which you can feel open to exploring the deepest, most expansive aspects of yourself and your connection to the natural universe. Whether in a class, on a retreat, or working together in a private setting, I hope to offer you both grounded, practical tools and insights to support you in your everyday life, and a greater sense of wonder and connection to the magical universe within you. For as long as I can remember I've had a profound sense of spiritual and mystical realms and a natural and deep connection to them. Highly sensitive and intuitive since childhood, many of my earliest memories involve some form of meditation, prayer, or intuition. A sense of wonder and curiosity about the language of the universe has always been at my heart center . . . Working one-on-one is a powerful way to deepen into any experience. 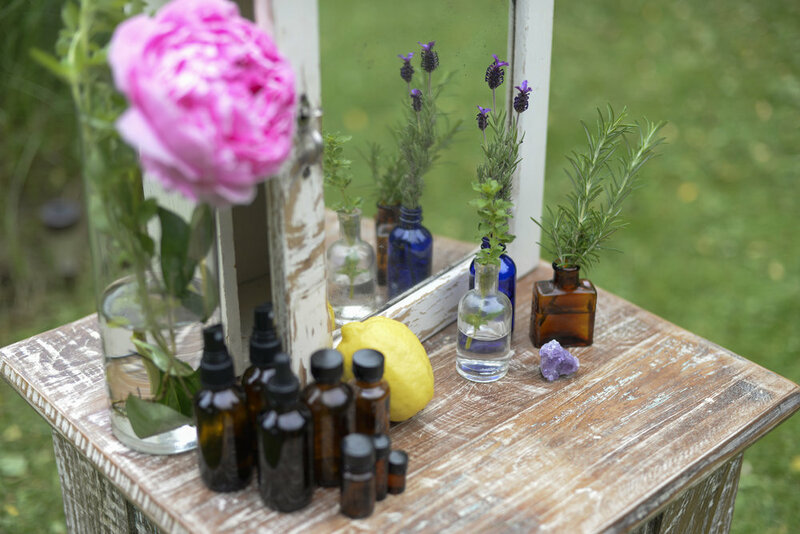 Highly personalized sessions allow us to co-create something that addresses your specific needs while opening space for spontaneity, synchronicity, and elements of universal magic. 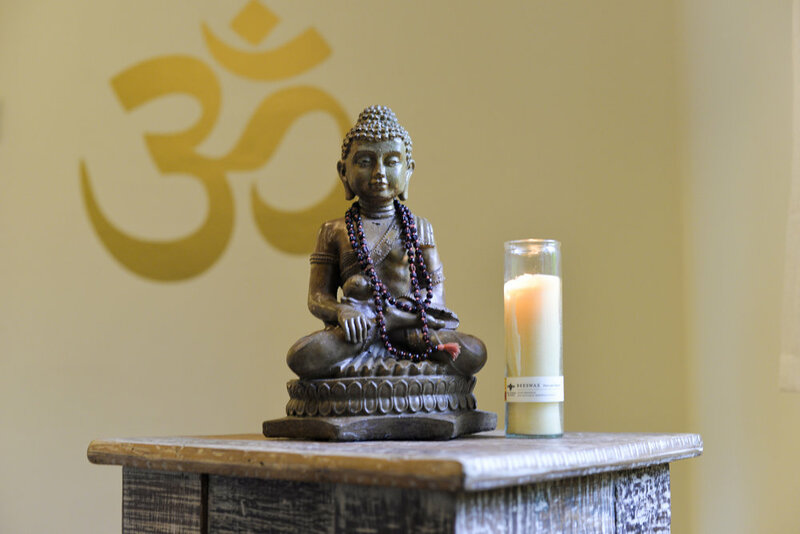 Private sessions can be used to work on specific elements of your yoga practice, to rebalance and harmonize your energetic and emotional layers, or to explore your life's path and purpose through intuitive insight practices. Customized and collaborative, each session is made just for you as you are in the moment. Remote sessions available. Treetrunkwise classes, workshops, and retreats offer a sacred space for connection with ourselves and others. Gathering together to share, create, and reflect on our human experience is an important part of a complete spiritual practice. Treetrunkwise classes, workshops, and events often weave together elements of yoga, meditation, energy work, self-reflection, connection, intuitive practices and more. Check the events page to see what's coming up and make sure you're signed for email updates to learn what's in the works! Life is full of big and small moments that ask us to slow down, reconnect, and reflect on the richness of our experience. I am honored to be able to officiate ceremonies and offer rituals that honor your life's most meaningful moments. Whether you are joining in love, growing your family, honoring a loved one's life, or just pausing to reflect on the path that has led you here, I would love to help you create something unforgettable. Please contact me to talk more about your vision for this. Hello! Have a question or comment? Want to set up a private appointment or learn more about custom offerings? Send me a note here. I look forward to connecting with you!